Hi all in internet land! Its me, April of My Three C's. I am sure most of us are ready for the renewal that spring time brings. When I think of the first hints of springtime I think of green grass watered by rambling rain, soft breezes cooling off a warm sun, magic yellow fairy dust (pollen) blanketing our cars, and all the little birdies and forest creatures learning what "twitter pated" means. LOL! Spring also means that Easter is near as well as Easter decorations and home décor. Not all of us can spend a fortune on novelties for every season, but that doesn't mean we cant be creative and decorate with simple and affordable items we find for a few dollars. 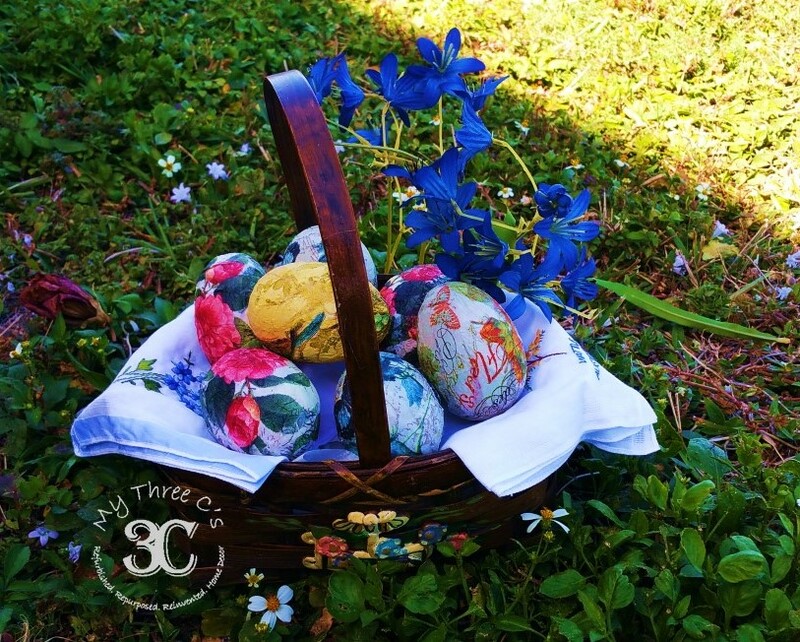 In this video I will show you how I used Dollar Store plastic Easter eggs and gave them a fun floral twist using decorative napkins I purchased at HomeGoods and Sweet Pickins Milk Paint, Top Coat! Click on the video below and see my Napkin Easter Egg DIY Project which features Sweet Pickins Top Coat. Don't forget to like, share, comment and subscribe to my channel to be notified of new videos. Also please visit me on Facebook, Instagram, Twitter and Pinterest!